Gregor Baumeister: With the management of the Palletizing and Packaging Systems Division, I have taken on a highly exciting and varied task. In this position, I control and am responsible for all global sales activities via the competence center. Together with my team, I am also responsible for developing and expanding the comprehensive solutions portfolio. I can formulate my goal very simply: I want to continuously promote the worldwide growth of this business sector. To achieve this, we must establish ourselves in a regionally balanced manner to enable us to support our customers throughout the world in the best possible way. We concentrate on industries with potential but with different economic cycles. And with our intelligent solutions, we will continue to address sectors in which we are firmly established, such as construction materials, chemicals and consumer goods. Can you explain the procedure within the competence center in more detail? And how do customers throughout the world benefit from this? Gregor Baumeister: In our target sectors, we integrate packaging and intralogistics solutions for industry-specific applications. A good example is integrated packaging lines for the chemical industry. The bulk material passes from the silo along a conveyor section to our innovative Form-Fill-Seal system (FFS system). 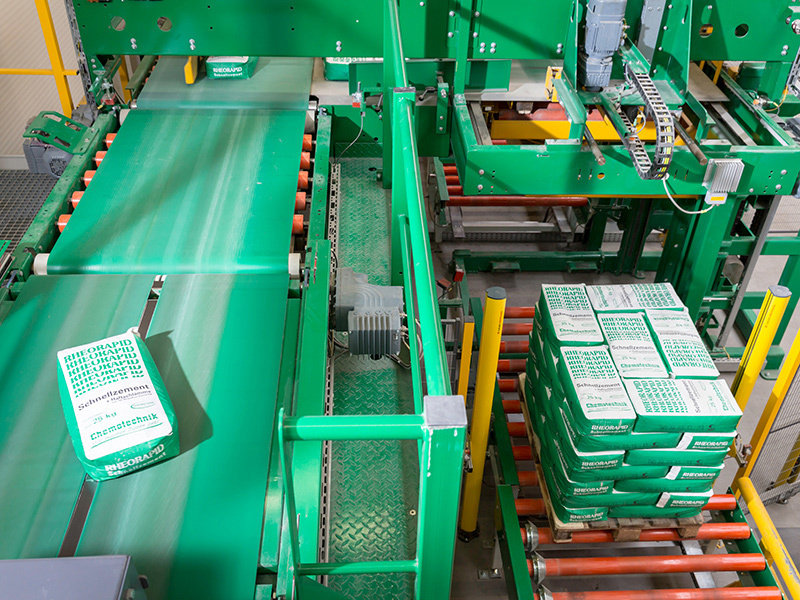 The bagging machine is fitted with an integreted, high-precision weigher. This ensures that the weight of the bags is accurately reproduced. Our reliable high-performance palletizers from the BEUMER paletpac range then stack the bags efficiently on pallets. Our customers use the innovative high-performance packaging systems in the BEUMER stretch hood series to secure the load. All machines in this line used the same Human Machine Interface (HMI). This makes it easier for the user to operate, and considerably reduces familiarization time. But there is more to come at the end of this packaging line. With our system solutions, we ensure that the palletized and packaged product is forwarded to a connected store – or directly to dispatch. At the same time, our systems ensure continuous material and data tracking. We have combined the appropriate solutions and expertise required to realize this material flow in our intralogistics team. The customer is therefore provided with complete solutions from a single source. The team also develops special solutions for very demanding tasks. For example, we have installed a highly redundant application for the rubber industry, which enables an efficient material flow, and complex packaging systems, which are used by wood-processing companies throughout the world. What experience do you bring to your new position? 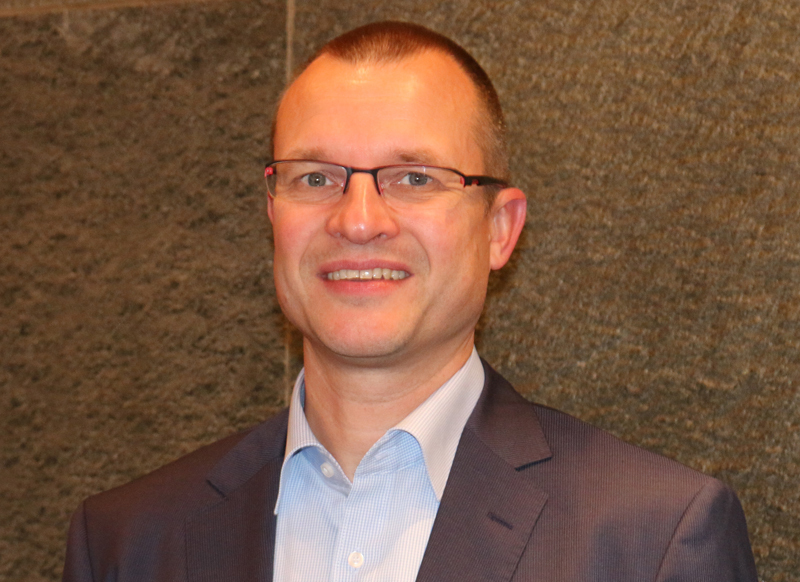 Gregor Baumeister: In my professional life, I have acquired extensive experience in intralogistics which I will be putting to outstanding use in my current position at BEUMER. For example, this includes several years abroad. This has shaped my multicultural understanding. Among other things, I have held responsible posts in design and sales for renowned packaging line and intralogistic system providers. Most recently, I held an international sales management position for a provider and manufacturer of logistics systems, logistics software, workstation equipment and storage technology. The thing that appeals to me in particular about the new job at BEUMER is the all-embracing scope of work which is associated with managing this business sector. How have the requirements for intralogistics and in particular in filling, palletizing and packaging equipment changed over the years? Gregor Baumeister: I also see a clear trend towards integrated systems in this sector. Customers also want a complete solution from a single source and therefore only one – reliable and competent – point of contact for the whole job. Demand is more for solutions providers and less for product suppliers. However, this does not mean that we will no longer be selling individual machines. We have only established, particularly with very large organizations such as building material or chemical concerns, that they prefer to combine the responsibility and have only one point of contact for their whole line. Controlled, fault-free and above all appropriate handling of products is required. To what extent has the importance of the control equipment in intralogistics changed as a result? Gregor Baumeister: You have raised a very wide ranging subject. The control equipment is a central part of every mechatronic system. Furthermore, the trend towards parallel material and data flows, which has already been around for many years, is consolidated particularly within the Industry 4.0 environment. Here, we see an evolution which we are approaching positively and with an open mind. The advantages which the user has from self-optimizing and controlling systems are obvious. For example, they automatically detect blockages in the material flow and select alternative routes. Or, workpieces carry all important information in the form of parameters relating to the production process in themselves. They know who they are and can ‘converse’ with the system via RFID technology. How do you ensure that users are provided with reliably controlled and regulated material flows? Gregor Baumeister: This always depends on how complicated the task is. Many applications can be implemented solely at PLC level. Others, in turn, require high-level material flow computers or Warehouse Control Systems. Although every system that we plan and install is based on standard modules, the solution is specifically matched to the customer. This is because no customer requirement is exactly the same as another. 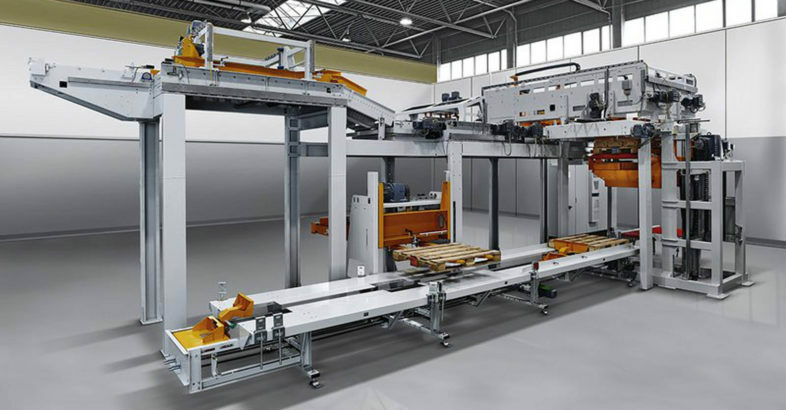 BEUMER has developed from being a machine builder to a system integrator and software provider. How do your customers benefit from this? Gregor Baumeister: One is inseparably associated with the other – and companies really only want one point of contact. The system integrator must therefore also provide the associated software. If we supply a complete packaging line with connected block storage for a customer, he gets from us a fully functioning system with all mechanical and electrical components as well as the associated software program. We often see software-based strategies as being the key to increasing performance or energy efficiency. Take, for example, the “Sport” and “Eco” gear selector in a car. The changeover is not mechanical but is undertaken by software. And it is exactly the same with the different operating states in intralogistics systems. What do these intralogistics systems consist of and what are the specific benefits for the user? In which industries are they used? Gregor Baumeister: As far as the users are concerned, we are problem solvers, and this is also how we want to be seen by the industry. This is what we will be showing with these systems. We are not bringing so-called “me too” solutions to the market, but extremely efficient and specific systems which overcome quite individual challenges. I have already mentioned a highly redundant application for the rubber industry. This is a very good example. With this application, after cutting, the rubber bales must be film-wrapped and packed in large containers. The special challenge here is that they must not stop on the conveyor as otherwise the rubber would flow and it would no longer be possible to transport them. We have developed a system for the customer which ensures a continuous material flow in all operating states. We have implemented this with components from our proven portfolio. At the same time, we are also using technologies from other sectors – for example, we transfer solutions from the Airport sector to the tire industry. As we work across different sectors, we are able to offer our customers quite different perspectives. Which components are these systems built from and can they be expanded in a modular fashion? Gregor Baumeister: The components are substantially transport technologies such as conveyor equipment or vehicle-based systems. Added to these, for example, are various handling solutions and manipulators such as robots, buffer and storage modules. As we always use our system building blocks, the solutions can be expanded at any time and can grow with the customer’s business. Furthermore, good planning always provides for different growth scenarios. We therefore plan potential expansions in right at the design phase.